The legendary Loretta Lynn will celebrate her 50th anniversary as a member of the Grand Ole Opry with a star-studded special Opry show on Sept. 25. Artists scheduled to join Lynn for the celebration include her sister, Crystal Gayle, as well as Miranda Lambert (plus the Pistol Annies), Lee Ann Womack, and Trace Adkins. Lynn joined the Opry family on September 25, 1962. 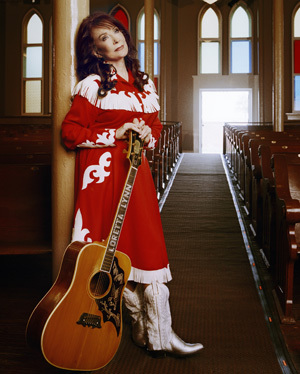 Among her numerous accomplishments are three Grammy Awards, eight CMA Awards (including being the first female Entertainer of the Year in 1972), induction into the Country Music Hall of Fame and Songwriters Hall of Fame, and a Grammy Lifetime Achievement Award.